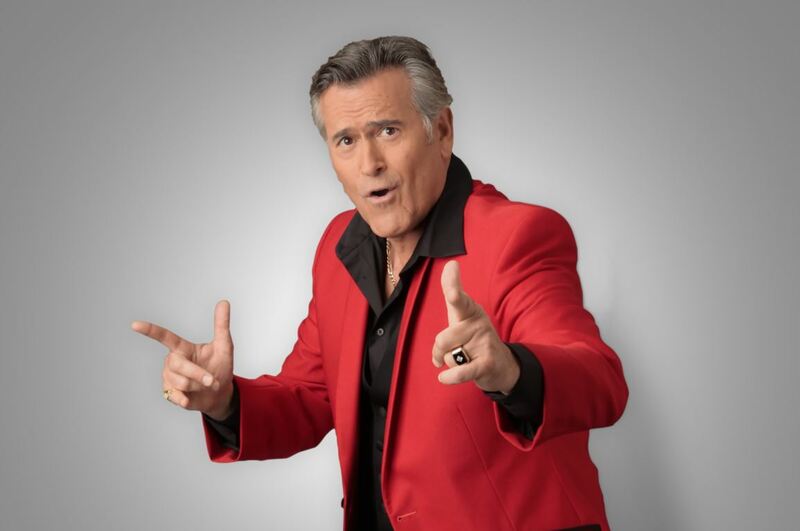 The Groovy One, Bruce Campbell, who made women want him and men want to be him with his electrifying portrayal of Ash Williams in the Evil Dead franchise, turns 59 years old today! Happy birthday, Bruce, you’re a hero to one and all! If you’re looking for some awesome Campbell work to binge today in honor of the living legend, look into – aside from the Evil Dead franchise, of course – My Name Is Bruce, The Woods, Bubba Ho-Tep, Congo and Escape from L.A.! Happy birthday, Bruce, you’ve been a joy to watch! May the coming years be as good to you as those past!